Here’s another snippet from A Second Chance, the prequel to My Wildest Dreams, the first book in A Growing Wings series. In A Second Chance, Jenny suffered a sudden cardiac arrest and is grappling with a flurry of thoughts and emotions about it. This scene takes place about four months later as she and three friends, two of them psychic, spent the day trying to find the body of a murdered woman. This week our prompt is ‘hardy’. For more fascinating story snippets from the wonderful authors in the group, return to TUESDAY TALES here. 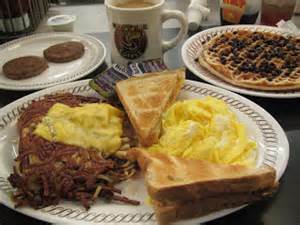 We sat at our booth in the back of Waffle House, each of us intently looking at the menus, except for Carla who always knew immediately what she wanted. “Pork chops and waffles,” she announced. “What do you mean?” Nancy asked. As the sensitive with the most accurate gift, you’d think she wouldn’t need to ask such a question. Nancy looked like she was thinking of an answer. Gail sat there trying to look wise and all-knowing, but naturally didn’t have anything to say yet. She had to see what Nancy said before she’d know which direction she wanted to take that would make her look the best. Carla was busy digging in her bag for her cigarettes and I don’t think she’d even heard what I’d said. I took a sip of coffee and searched her face for signs of deceit. A memory surfaced of when we were all at a meeting about a year ago. Carla specifically asked Gail about if she had any paranormal gifts and her reply was emphatically ‘no’. I didn’t wish to follow that line of inquiry right then. I was keeping my own doubts about this woman to myself. The waitress returned to fill our coffee cups and take our orders, bringing the conversation to a halt. I mused to myself as the others were busy chatting. If my brother knew his heart would fail before the day was over, I doubt he would have gone to work that day. I feel certain that he would have spent the day at home with his wife, on the land that he loved. Work. Is that how any of us would choose to spend our last living hours? Probably not if we knew it. Right now I work at Crafty Hands. Do I love it? Nope. Not one iota. If I knew I was going to die tomorrow, or next week, or next month…would I continue working there? Absolutely not. I’d call the boss and quit in an instant. The conversation picked back up and I returned my attention to the three friends in front of me. I knew my thoughts would return to this subject later, when I could reflect on them more. Gail launched into a monologue about her physic abilities and how talented she was and how many people she’s accurately read for. I figured that she was tired of the conversation focusing on someone other than herself. Our friendly server headed our way, her arms laden with plates. Talk stopped and we quieted down and spent our energy cleaning up our plates. It had been a long day out driving around the countryside as my friends attempted to tune into energies and messages from the other side. “Um, other than the need to buy gas, buy food, or pay for silly things…like rent?” Carla suggested. Carla turned the corner that led into the parking lot where we’d met at eight o’clock that morning. When we’d made our plans for the day, I sure didn’t think that we’d really spend the whole day together. It was a quiet drive home as I kept mulling over these thoughts. If there’s one thing I’ve learned from October experience it’s that life can end at any unexpected moment. Do I want the last days of my life filled with hours spent at a job I abhor, dreading the alarm clock each morning, hating the five days a week I have to go there? Life is too short to spend working at a job you don’t relish. However, In the interest of my desire to eat next week and have a roof over my head, I won’t go to work tomorrow and quit. Not yet. Vintage Daze is moving to a new virtual address. Can you go to the new address and subscribe to follow us there? To continue receiving our posts about vintage items from the past, can you please follow this link and go click ‘follow’ on the new page? We’re in the process of moving the content from this blog over to the new one. You’re all the greatest. I hope to see you at the new page! For Tuesday Tales this week I’m stepping away from the romance to finish up a contemporary fiction that’s due out in October. A Second Chance is the prequel to My Wildest Dreams, the first book in A Growing Wings series. In A Second Chance, Jenny finds herself struggling with the aftermath of an unexpected sudden cardiac arrest (SCA). She is coming to terms with having a second chance at life and what these changes will mean to her current life. This scene of the story takes place about three months after the SCA. This week our prompt is ‘buzz’. Leanne’s voice pulled me from my deep thoughts as I stood in my aisle at work examining one of the products. “These are different.” I held up two sheets of plastic canvas for her to see. She held the two sheets, looked at one, then the other. She held them both up to the light. “And…?” She sounded perplexed. As she darted away, back to her department as if she were going to ‘catch something’ if she hung around too long, a memory surfaced. I remembered when I was about ten or eleven. Our family was driving from California to Ohio, My mom was driving with me, my brother, sister, and our four-year old cousin, Timmy. We had him with us so he could visit his dad in Michigan. The memory of this trip, engraved on my mind forty years later, is four-year old Timmy asking ‘Why’. Four thousand miles of: Why? Why? Why? Today, with many more than four years under my belt, I feel like I’m going through that four-year old phase … why, why, why? I find I’m more curious about life and reality. 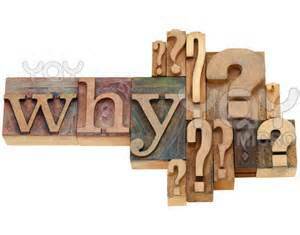 I’m more curious about the “whys”. I catch myself asking ‘why’ about many things that I never would have given a second thought to before. Maybe Leanne is right. Maybe my cardiac arrest mixed up the circuitry in my brain somehow. Or, am I merely looking at life and the small details that fill our world with more interest and childlike awe? In A Second Chance, Jenny finds herself struggling with the aftermath of an unexpected sudden cardiac arrest (SCA). She is coming to terms with having a second chance at life and what these changes will mean to her current life. We jump into this story about half way in, two months after the SCA, because it was the best scene to incorporate our weekly prompt of ‘writing’. Hmmm, I’ve noticed that these dreams contained lots of anger and ‘old’ frustrations, surfacing in my mind, mostly when my body has shut down for the night. Some of these memories and angers are from way back, twenty years ago some of them. Maybe, in order to heal and go forward, I can’t suppress these feelings anymore. I need to deal with them and heal them. 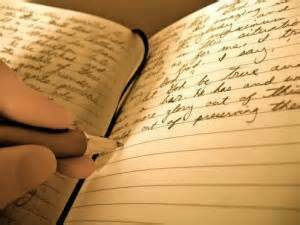 One way of releasing hurts and negative emotions is writing in a journal. I decided I needed to pursue this, to try to clear some of this from my mind and my subconscious. I headed to my bookcases, knowing I had several nice, blank journals to choose from. Looking through them I couldn’t decide which one to use. They were all too “pretty”; too pretty to write ugly thoughts in. I thought about getting a school composition book to write in. But then, I thought, if I’m writing these words to “get them out of my life”, then I don’t want them written down and “engraved” so that I can go back and re-read them, keeping them written and permanently in my life. I decide to use scrap paper and write the “ugly” things on them, the thoughts I don’t want to see again, the thoughts and feelings I’m trying to release. I will write them down, then tear up the paper and toss it in the trash. This will be my “trash journals”. I think that the tearing up and throwing away will also symbolically help me. The next day at work, as I headed out to my car for lunch, I grabbed some scratch paper to take with me. I scribbled away the entire time. December 15, 2010: I’m going to begin my “trash” journal. I don’t want to write in a “pretty” journal and keep my words forever. I don’t want these where anyone else can see them – I don’t want them where I can go back and re-read them and keep them in my mind. The purpose of these are to release the negatives and the anger – to write it and acknowledge it and then throw the words away and move on with my life. I’m trying to accentuate the positive – to think on the good things to bring more of the good into my life. But … I still have some angers and negative, complaining thoughts in my head. Some old. Some new. Some frustrations with life. I won’t consider these “complaints” as I’m trying to strive to be complaint-free. This is for healing. Because I find if I don’t express these thoughts, they creep into my dreams and my sleep. They find their way to surface in some manner. And working themselves out in anxious, angry dreams isn’t helpful. It brings matters to my attention, but if I don’t do anything, it’s like an un-lanced abscess – still festering away and keeping me from the peaceful, joyful life that I deserve. 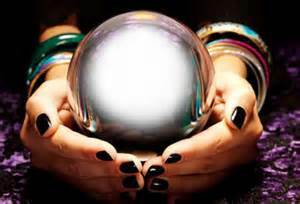 Releasing these feelings will allow for an enhanced spiritual life – one where I know myself better – where I’m more attuned to those around – where my spiritual and psychic senses can open up – to a life where I can be in contact with my guides and where life in general is the life I need to be living. I fully believe that for circumstances to have been what they were the day my heart stopped, that it was not my time to go. There is still more I need to learn or something I still have yet to do. Otherwise, I would have left this life peacefully fifteen minutes before the alarm went off on a normal routine Thursday morning. Instead, I was in an airplane, in an unusual and out of the ordinary trip to San Francisco – with Carla beside me to sound the alarm and start CPR to keep me here … with three doctors within a forty to fifty foot radius of me … with medical equipment and a defibrillator within arm’s reach. What are the odds of that? Astronomical, I’d venture to guess. To know this, with every fiber of my being – but yet to continue life as before – unchanged – would be a gross waste. A travesty. To honor the unseen guides and loved ones that were with me, and the physical beings on this earthly plane that were responsible for keeping me here with every effort of their beings, I choose to move forward and live a higher life. The purpose of my life is not to work a mundane day-to-day job, to eke out a bare bones paycheck-to-paycheck life. The trivialities and pettiness of co-workers are not important to me or why I’m here. I choose to move beyond that. I choose to do the things necessary to my life, in living a higher life. One of the necessary things I need to do is to release anger and frustration – not to keep them sequestered and buried deep in the recesses of my mind. That, I choose to begin doing today. The other things, I’ll learn along my new path. My intent was to write down the ugly thoughts, then tear it up and throw it in the trash. Something with this first writing prompted me to keep it. I’d started with the negative thoughts and emotions, yet thirty minutes later, at the end of my lunch, I’d already moved into an epiphany. I felt I needed to keep this ‘A-Ha’ moment. I met Carla for dinner that night, and shared the thoughts that were racing through my head all day. “I’ll be changing,” I warned her. I read her the last part of what I’d written and tried to explain how I felt I must become more attuned with my spirituality, not in a “church” or organized religion way, but as my inner being and connectedness to all that is. I had to question ‘why?’ I intended to slough off the pretenses and false faces that I often wear to the rest of the world. I had to become real. I had to be true to myself. “I still don’t totally understand. C’mon Jenny. Fess up. 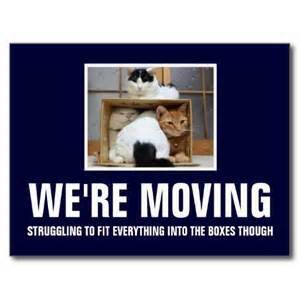 Are you, like, going to move? Going to change jobs? Shave your head and move into a commune?” she joked. My intent is to move some grains of sand, not a lot of sand, but important grains of sand. And in the moving of these few select grains of sand, the immeasurable whole will reflect changes. I cannot do this and remain the same identical person. Onward bound, here we go … to a life with greater awareness! Whatever that life may be. What was coming up ahead was the biggest mystery and I had no earthly idea what lay ahead in my future. Lots of fun opportunities here to help other authors get the word out about their newest releases! There’s a nice mix of genres, so you can pick the ones that fit with your readership, too. Can mankind survive an apocalypse of his own making? On August 7, 2015 the town of Rushville, Illinois lost a beloved and very dedicated family physician, Dr. Russell Dohner who died peacefully in his sleep at the age of 90. This WWII Army Veteran had used his G.I. Bill to attend Western Illinois University. After which, he continued his education and graduated from Northwestern University Medical School. He opened his clinic in 1955 and charged his patients $2.00 for an office visit. Later he raised it to $5.00, a price that never increased over the years. Dr. Dohner never took insurance. His office was run on a first come, first served basis. Those who were in serious need of a doctor would come in through the back door, where they would receive immediate attention. HERB STORE FAVORITES is in the final countdown! It’s almost here! 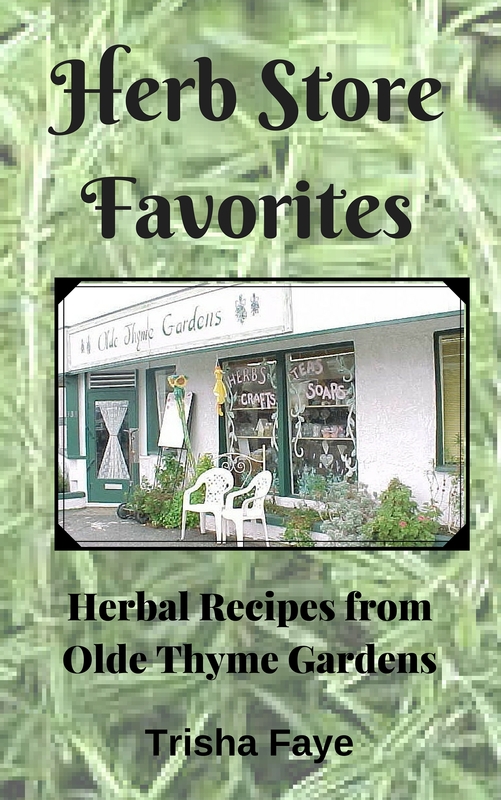 This is a re-release of a previously published cookbooklet, the results of three years of an herb and garden store and three annual herb festivals. To tempt your taste buds, here’s one of the recipes in HERB STORE FAVORITES. Connie Wilson won 3rd place with her Minted Apple Bread. This is a moist batter bread with a little “tang” to it. Connie said this bread freezes well also. Preheat the oven to 350°. Grease two 8” x 4” loaf pans and set aside. In a large bowl, combine the flour, brown sugar, baking powder, baking soda, salt and cinnamon. In a small bowl, stir together the spearmint, egg, applesauce and oil. Add to the dry ingredients. Stir until blended. Pour batter into loaf pans and bake for 45 minutes, or until a toothpick inserted in the center comes out clean.